All new for this year, our TUF Gaming series mates the improved durability expected from The Ultimate Force with military-inspired designs built for the virtual battlefield. The original styling and cut-away PCB edges present a different profile than boards from our ROG and Prime families, echoing aesthetic roots that can be traced through TUF’s lineage. 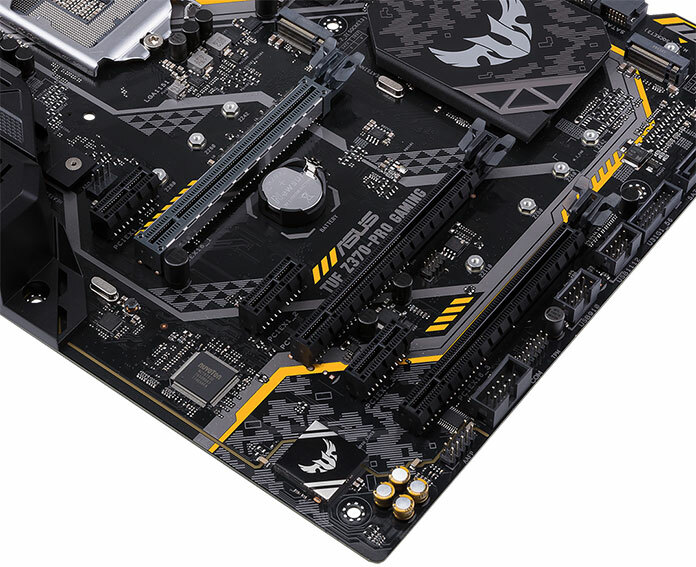 Like previous models in the family, these new gaming motherboards use military-grade components rated to last for the long haul. We’re so confident in their endurance that the boards come with longer five-year warranties in North America and Taiwan. 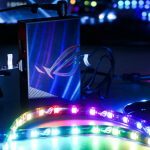 TUF Gaming options for Z370 are split between Pro and Plus models. Both are undeniably tough and share important features like our OC Tuner auto-overclocker and Fan Xpert 4 Core cooling management, but they go about things slightly differently. While others partake in RGB LEDs, the TUF Z370-Pro Gaming sticks to a simpler color scheme punctuated by yellow highlights and a glowing edge. It’s firmly focused on performance and hardware rather than cosmetic customization. Integrated support for SLI and CrossFireX multi-GPU configurations opens the door for serious graphics horsepower. The slot spacing is ideal for airflow, but the third x16 is limited to two lanes of bandwidth, so don’t plan on three-way setups. 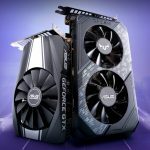 Graphics cards installed in the third slot are better suited to providing additional video outs than they are to accelerating your frame rate. 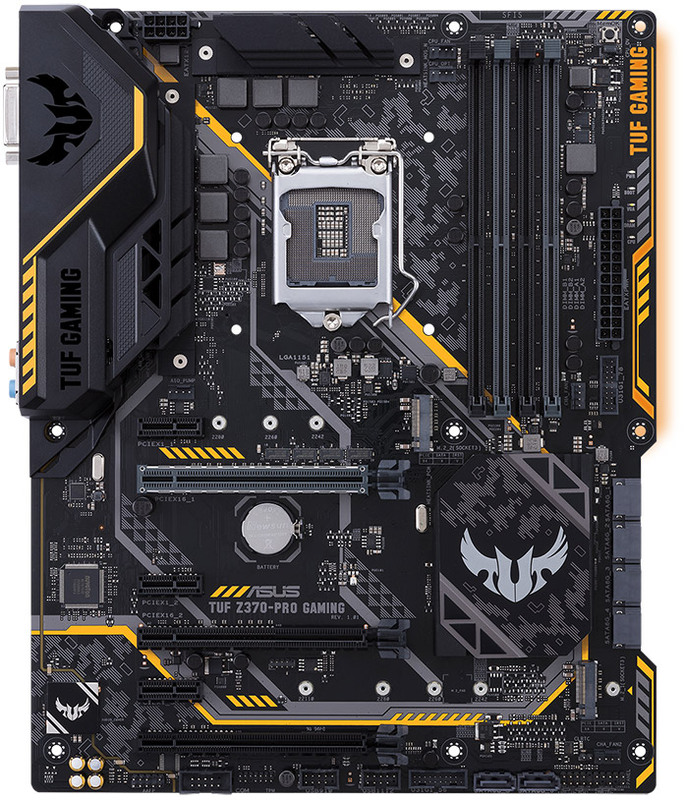 Although both TUF Gaming boards support dual M.2 SSDs, only the Pro accepts longer 110-mm drives. The Pro also has an additional screw stud next to the lower M.2 slot, giving modders a mounting point for 3D-printed accessories like fan brackets and nameplates. In another storage-related touch, the cut-out on the PCB edge aligns with the SATA ports to enable tidier cable routing. The onboard audio on both boards benefits from codec shielding, channel separation between PCB layers, and isolated circuitry. On top of that, DTS tech virtualizes surround sound for stereo headsets to improve your in-game atmosphere. 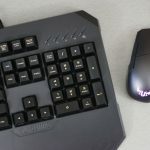 The full assortment of audio ports is joined by enough USB connectors for loads of peripherals, from a traditional keyboard and mouse to game controllers and VR tracking sensors. 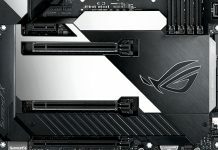 At $159.99 USD and $211.99 CAD, the TUF Z370-Pro Gaming brings capable Coffee Lake gaming hardware to a lower price than anything in the ROG Strix family. Draft one for your next build at the vendors listed above. 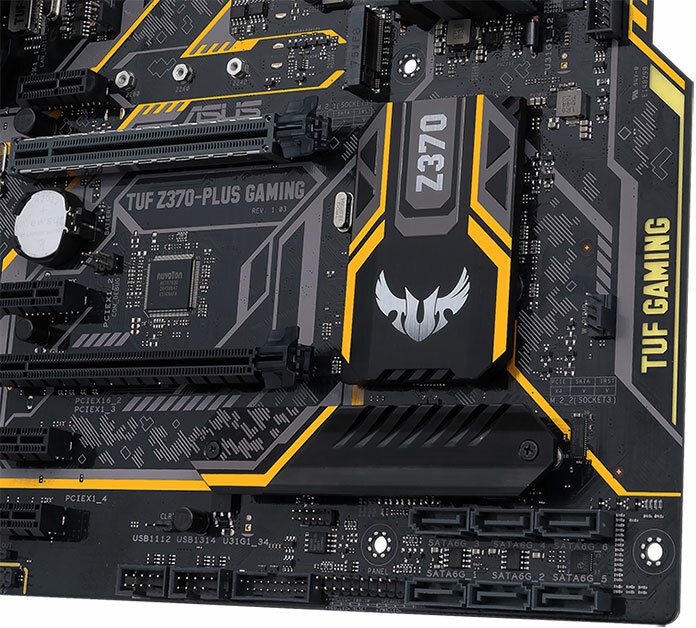 A handful of small changes tailor the TUF Z370-Plus Gaming for more ambitious builds. The most obvious is the Aura Sync backlighting behind the shaped right edge. 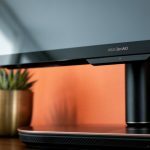 This onboard illumination is backed by a header for standard RGB strips, giving builders additional lighting options that are easily managed by our Aura software. 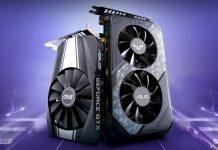 Gamers shopping in this price bracket typically run a single graphics card, so the lack of two-way SLI support doesn’t hinder the board’s prospects. The primary slot still has full SafeSlot reinforcement if you want to add a monster graphics card, though, and it’s possible to run a pair of Radeons in CrossFireX. 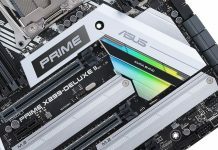 Just keep in mind that the secondary x16 slot has a four-lane connection to the chipset rather than a direct link to the CPU. Each of the M.2 slots can access four PCIe lanes in the chipset. The lower slot is camouflaged by a heatsink that blends in perfectly with its surroundings, making SSD cooling extra stealthy. You can barely tell the slot is there, let alone whether a drive is installed, which helps maintain a cohesive look. 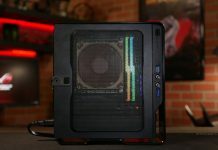 With two of the onboard cooling headers configured for AIOs and stand-alone pumps, the TUF Z370-Plus Gaming is geared toward more elaborate cooling than its Pro counterpart. 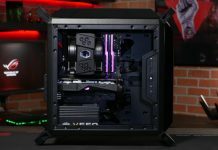 Saving a little money on the motherboard opens up more budget for custom plumbing that can arguably have a bigger impact on your build. 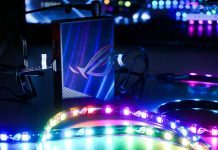 The headers reserved for liquid cooling can still be reconfigured for fans, so the Z370-Plus easily handles conventional cooling as well. 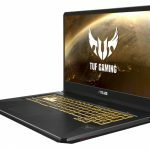 Entry into the TUF family for Coffee Lake starts at $149.99 USD and $197.99 CAD. 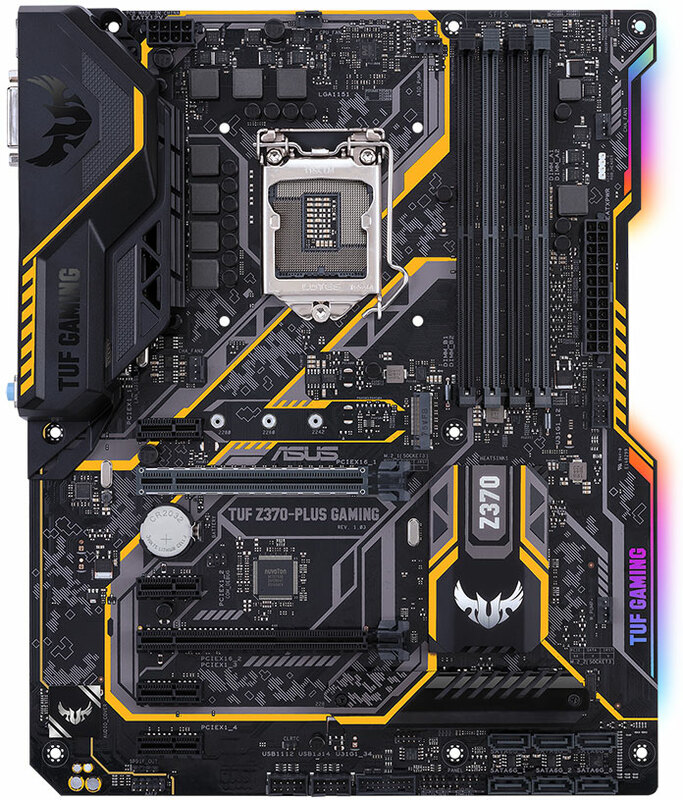 Check the table above for retailers selling the TUF Z370-Plus Gaming motherboard.